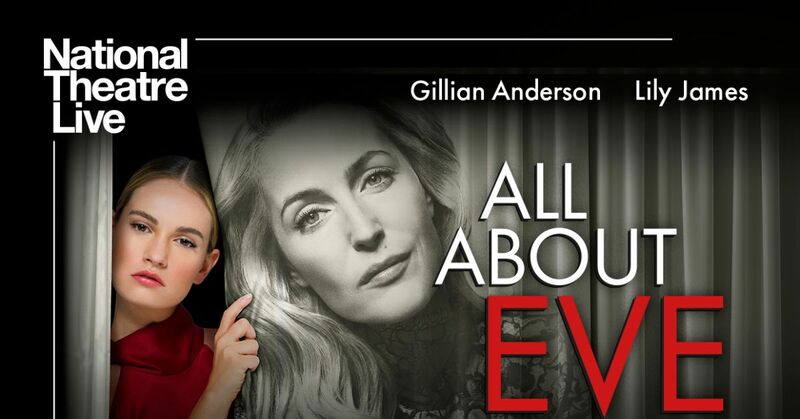 The National Theatre stage production ‘All About Eve’ will be broadcast live to the Eye Cinema on the night of Thurs 11 th April at 7pm. Gillian Anderson (X-Files, NT Live: A Streetcar Named Desire) and Lily James (Mamma Mia! Here We Go Again) lead in All About Eve, broadcast live to our cinema screen from the West End in London. All About Eve tells the story of Margo Channing. Legend. True star of the theatre. The spotlight is hers, always has been. But now there’s Eve. Her biggest fan. Young, beautiful Eve. The golden girl, the girl next door. But you know all about Eve…don’t you…? call 091 78 00 78.